Was he the sleek-and-trim, funloving animated man in The Prince of Egypt or the handsome, strong-hearted, superstar played by Charlton Heston in The Ten Commandments? The most likely answer is "neither." 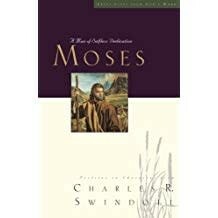 The Bible gives a much more accurate picture of the Moses God used in such remarkable ways, Charles Swindoll paints a portrait of the biblical Moses in this fascinating look into the heart and mind of Moses: A Man of Selfless Dedication. Swindoll gives us straight facts based squarely on the truth revealed in God's Word. He also fills in the fine-line details of Moses' life with emotion and feeling, because Moses, like all of us, was a human being with faults and frailties. 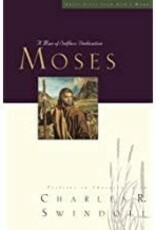 And finally, Swindoll helps us apply the lessons of Moses' life to our own daily dilemmas.